Snowball spent Sunday making crystals for a line of jewelry she will be selling soon. While setting up her stuff in the kitchen, she unplugged a carbon-monoxide sensor. It has a battery backup so not a big deal. Until three in the morning when it started that infernal high pitched beeping. The detector never got plugged back in and the battery died. Yeah… I heard it. It woke me out of a wonderful dream but I was pretty sure I knew what it was. Thankfully I’m blessed with high frequency hearing loss so I could roll over, literally turn a deaf ear to it and go back to sleep. What I could not sleep through was a few minutes later, Snowball dragging a step stool around the house checking all the smoke detectors to see which one was beeping. Doubly annoying since she was the one that unplugged the culprit in the first place and had forgotten all about it. By the time I was awake enough to react sensibly she has all the smoke and gas detectors in the house piled on the kitchen counter. She then asked me to get a bunch of nine volt batteries from the closet so we can put new ones in all of them. 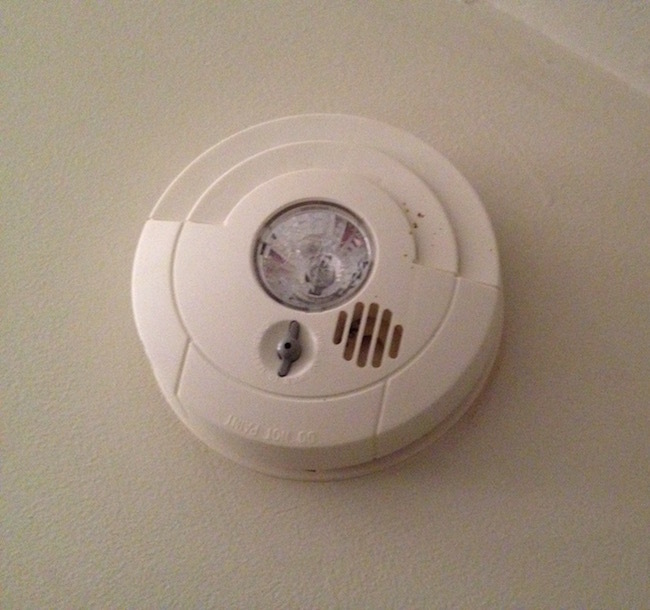 I find two, one of which turns out almost dead when we use it to replace the one in the CO detector. Snowball then runs out of time and has to go to her class. Later I head for the corner store to pick up batteries so I can reload and rehang half a dozen detectors. The question we are asking ourselves during this whole debacle is why do the dead battery alarms always wait to go off at two thirty in the morning? Do the manufacturers set this up on purpose to test the consumer? Do they just want to make sure we get practice waking up at odd hours so we can save ourselves? When I’m sleeping and someone wakes me, I am at the high point of my grumpiness. If the house is filling with smoke, make sure the cats are safe but leave me sleep. You’ll be better off in the long run. I never thought about it until you pointed it out, but it seems the detector batteries always go dead in the middle of the night. Great story!